Following the falling number of asylum seekers,The Central Agency for the Reception of Asylum Seekers (COA) is losing a lot of money due to the closure and maintenance of unused asylum seekers’ centers (AZC’s). The closure of the AZC’s is costing the COA 250 million euros. This represents a quarter of its budget. The COA has closed 45 locations, leaving 61 locations open. For example, last year, the Center of Azelo in Borne was closed. The Location Manager, Remko Kootstra said that the number of asylum seekers had dwindled and the fewer refugees were being given homes by municipalities. Other AZC’s that are no longer in use include the ones in Hengelo in Willemstraat and Borkeldsweg in Holten. 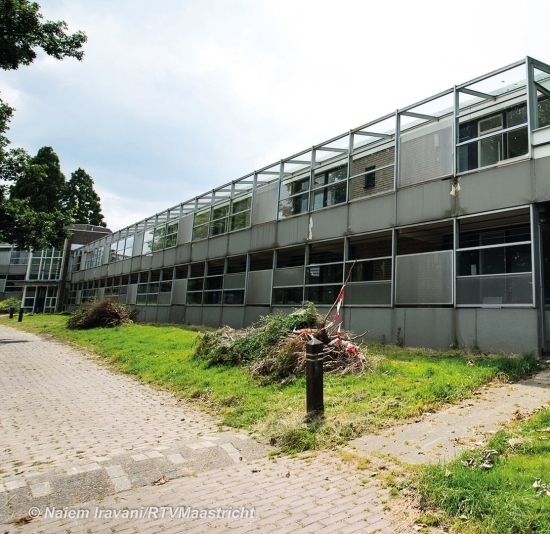 The COA has also closed the Center for underage refugees of De Poort in Het Vlier, with the spokesperson Aletta Bouwmeester giving the reason as the shrinkage in the number of the unaccompanied underage refugees. It is not just about closing the AZC’s and Emergency Shelters. The COA has decided to reduce the occupancy capacity of 18 locations of AZC’s and Shelters by half from 60,000 to 30,000 beds. Specifically, the capacities in the shelters at the Havenzathelaan in Hengelo and at Schalk have been reduced significantly. It has been reported that the cost of vacancy in the AZC’s and Shelters to COA is going to be around 80 million euros this year. The decision to open many AZC’s was taken by the COA in the year 2015, at the time of the influx of refugees into the Netherlands, which saw many asylum seekers with a shortage of shelters to keep them during the process. In the unexpected turn of events, things changed in 2016, following the deal between the EU and Turkey that sought to reduce the inflow of refugees into Europe. Under the deal every person arriving irregularly on Greek islands including asylum seekers were to be sent to Turkey. This saw the number of refugees to the rest of Europe drop significantly. In exchange, Turkey would get 6 billion euros to assist with the housing of refugees and its citizens would be granted visa-free travel in Europe after the number of asylum seekers had dropped as per agreed levels. The closure and reduction of reception capacities of AZC’s and Shelters has dire consequences on personnel. The COA expects that the employment of 500 temporary contract workers will be jeopardy. However, the trend started in mid-2016 until the end of March 2017, when COA had let go of 1,300 employees. In the province of Pekela alone, AZC’s and Emergency Shelters in Onnen, Delfzijl, Bellingwolde Oude Pekela and Beerta were affected and as a result at least a hundred employees lost their jobs. The problem is also affecting companies that have been doing business with the COA. For this, the COA has spent 30 million euros to buy out the companies which had long-term agreements like holiday parks. The spokesperson said that the COA wouldn’t tell its business partners that they wouldn’t honor their contracts and instead they had taken the decision to buy out some companies. In Pekela, the COA paid a hefty sum as compensation of rental income due to premature closure of the AZC’s. On the other hand, the municipality of Oldambt received 3,000 euros because of the emergency shelter in Beerta was not removed in time. The COA spokesperson said that the costs were high, however, there was no way of knowing back in 2015 that the influx would slow down a year after they had decided to invest by opening more AZC’s. it is true that there was a need for more capacity following the high number of asylum seekers. Due to the budget forked out to cover the cost of the closure, money that was supposed to be spent on development aid is no longer there and instead it has to be coughed up with the taxpayers’ money from the Dutch Ministry of Foreign Affairs.